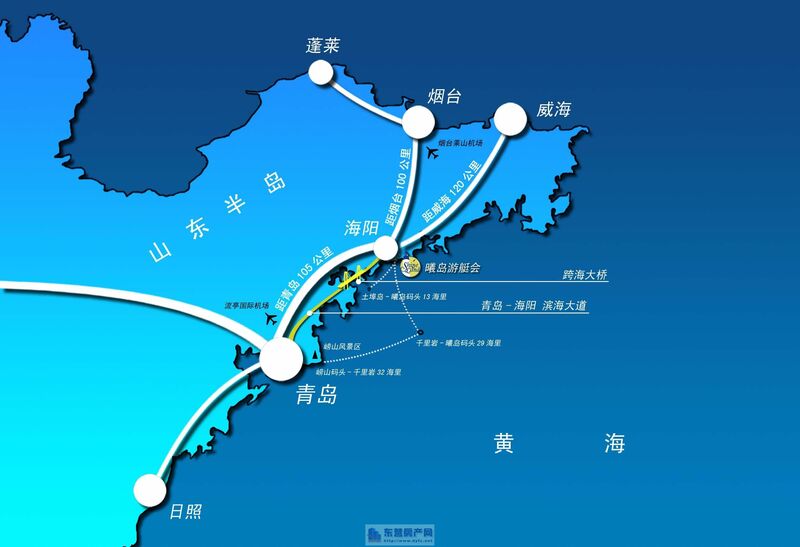 This is a blue area along the coast with abundant resources, a blue map with booming business opportunities -- Shandong Peninsula Blue Economy Zone. A company is marching toward the blue ocean with tolerance, mission and dream, to start a totally new page in the world history. Shandong Ocean Investment Co., Ltd. The 21st century is one of marine civilization. Marine economy is becoming an important growth pole for a country or region. The 17th CPC National Congress proposed to develop marine industry and build a modern industrial system. General Secretary Hu Jintao required when inspecting Shandong in 2009, "efforts should be made to develop marine economy, explore marine resources in a scientific way, foster advantageous marine industries, and forge a Shandong Peninsula Blue Economy Zone." As a big economic power along the coast, Shandong occupies an important position in the development layout of China. CPC Shandong Provincial Committee, Shandong Provincial Government have attached great importance to marine economy and made efforts to promote the construction of Blue Economy Zone. Against that background, Shandong Ocean Investment Co., Ltd. and Shandong Shipping Co., Ltd. were incorporated. the company is committed to investing in operating and managing such industries as marine transportation, marine bioengineering, marine equipment manufacturing, marine energy and mineral resources, marine culture and tourism, ocean engineering construction, marine ecology protection, and modern marine fishery. It bears the strong responsibility of developing a big and strong marine industry, accelerating the transformation of economic growth mode, and turning a large marine industry to be a strong one in the province. The company is all inclusive as the vast ocean and strongly dedicated in the complicated times. It gives birth to dreams and miracles every day. Shandong Ocean Investment Co., Ltd. has been working hard with the heavy duty on the shoulder and bursted enormous vigor and vitality during the past year since born. It insists on investment combined with financing, and the core investing and financing platform is steadily pushed ahead. It insists on the cooperation with local governments, and the investment layout has taken initial shape. It insists on reasonable increase of shipping capacity, and the marine transport has made a good start. It insists on recruitment of talents from home and abroad, and has gradually established a high quality professional team. It insists on normative operations, and the business management has been continually improving. and received support from experts of different communities. It has pooled the wisdom, dedication and passion of marine people. Feel the law of heaven and land by listening to the sea waves, and know about the changes of the times by watching wind and cloud. Shandong Ocean Investment Co., Ltd. will make full use of its strength and wisdom, seize the first opportunity, and make pioneering steps and innovations to shoulder its glorious mission. blaze the trail for future marine industry, and forge a world famous marine group with its core and specific competitiveness in the future.